Magnum London Pleasure Store has opened in Seven Dials for the summer in partnership with Moschino fashion house. the Magnum Pleasure Store is part of the brand’s ‘Release the Beast: Dare to Go Double’ campaign where you celebrate your greatness and Let go of your inhibitions and release your inner beast with a powerful roar and indulge with Magnum Double ice creams.delicious ice cream dipped in a chocolatey coating and layer of sauce, all covered in cracking Magnum chocolate. 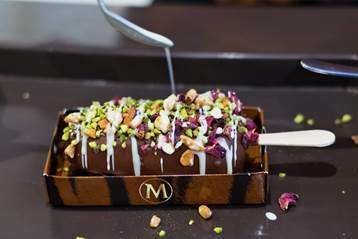 The Magnum Pleasure Store London will serve bespoke ice creams to visitors until September 10th with prices starting from £5.50.